Multitude is a podcast collective and consultancy. Our mission is to create shows about the subjects we love, from mythology to basketball to Dungeons & Dragons, and build incredible communities around them. We also help our clients produce, edit, market, and monetize great podcasts. Learn more about our podcasts: a celebration of all things basketball for fans and newcomers alike; a sound-rich audio drama governed by the rules of Dungeons & Dragons; a grown man’s first tour through a beloved children's book series; a drink-and-chat history lesson; and a passionate re-watch of an obscure queer TV show. We are all about enthusiasm, nuance, and thoughtful examination of the stuff we love. If you like what we do, subscribe to us on Apple Podcasts (or wherever you listen to your shows) and consider pledging to our Patreon pages. Better yet, tell a friend about shows you love—it's the best way to help us grow. And learn more about our consulting rates here. Learn more about Multitude’s mission, personnel, and history here. The NBA is now a 365-day league and it's never been more present in pop culture. From Kevin Durant's burner accounts to LeBron taking his talents anywhere to trusting the Process, the NBA is becoming a pop culture requirement. At the same time, sports can have gatekeepers that make it insular and frustrating for people who aren't die hard fans. We're here to prove that basketball is entertaining to follow for all fans, whether you’re actively watching the games or not. On HORSE, we don't analyze wins and losses. We talk beefs, dig into Internet drama, and have fun. Join the Party is a collaborative storytelling and roleplaying podcast. That means four friends create a story together, chapter by chapter, that everyone from seasoned players to true beginners can enjoy. Where else can you get adventure, intrigue, magic, drama, and lots of high fives all in one place? After each episode we sit down for the Afterparty, where we break down our game and answer your questions about how to play at home. It’s a party, and you’re invited! 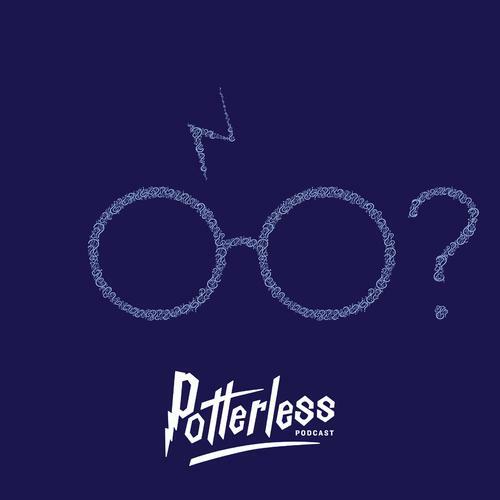 Potterless is a magical journey following Mike Schubert, a 25-year-old man, reading the Harry Potter series for the first time, as he sits down with Harry Potter fanatics to poke fun at plot holes, make painfully incorrect predictions, and rant about how Quidditch is the worst sport ever invented. With his podcastic voice, uncanny sense of humor, uniquely sharp mind, and arsenal of witty and insightful guests, Mike Schubert will take you on a journey through your childhood, this time with the rose-tinted glasses off. A boozy dive into mythology, legends, and folklore. Learn brand-new stories and enjoy re-tellings of your favorite myths, served over ice, on Spirits. Historian Julia and her childhood best friend Amanda mix a drink and discuss a new story or character from a wide range of places, eras, and cultures. Guest experts bring first-hand accounts of supernatural happenings, stories from their childhoods, and favorite figures from history. And each month, a Your Urban Legends special highlights listener-submitted hometown urban legends. If it’s kinda creepy and kinda cool, it’s right at home on Spirits. Life is hard when you don't know who you are. It's even harder when you don't know what to watch. Luckily we have Lost Girl, a supernatural maze of bisexuality, friendship, mystery, and creative takes on classic mythology. Join us as we make our way through the five seasons of Lost Girl, walking you through the plot, notable outfits, mythological origin stories, and queer goodness that each and every episode has in store. Take a break and grab a drink with us at the Waystation! We believe that a rising tide lifts all ships. As members of the indie podcast community, it’s our responsibility to help our peers flourish. Check out our articles and resources on how to make, grow, and earn money from your podcast here. You can also hire Multitude for one-on-one guidance—learn more on our consulting page. So you want to start a podcast? Here is your jumping-off point for research, planning, recording, and designing a successful show. Accessibility matters—and it's good for business, too. Use this definitive guide to start creating quality transcripts for your podcast. How do you get sponsors, set fair prices, and incorporate ads into your show without ruining it—all as an independent podcaster? Read these and many more on our Resources page.